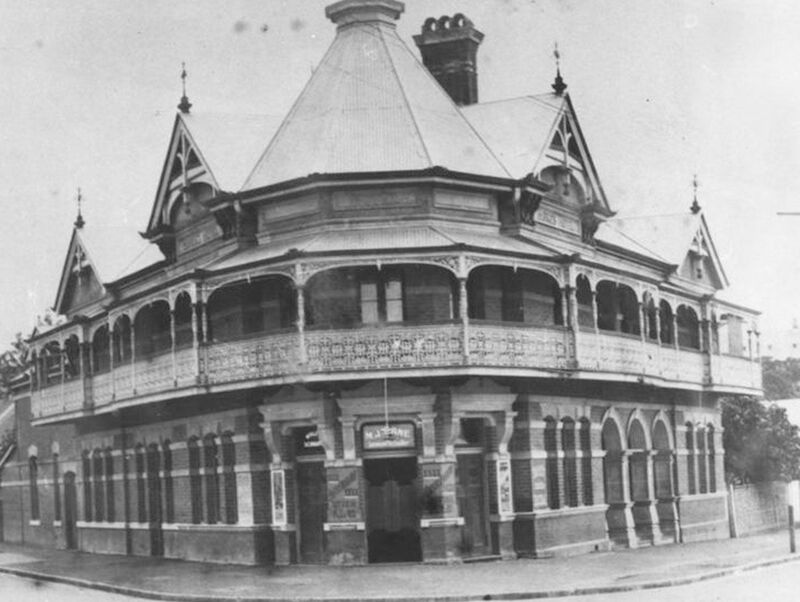 Woolloongabba’s heritage listed pub has been a landmark on Annerley road for over a century. The hotel was first built in 1890 for Thomas Burke, who contracted prominent Brisbane architects John Hall & Son for the building’s design. The hotel’s siting on Annerley Road (then called Boggo Road) provided an advantage due to the large number of bullock drivers who were travelling through on the teamster trail from the Darling Downs. Burke remained the owner and proprietor of the hotel until 1899 before selling it on. It has since had a number of owners but in the 1980s was named ‘Burke’s Hotel’ in his honour. The hotel retains a fair amount of its original architecture, substantially intact for a nineteenth century hotel. Burke’s Hotel was later known as the Red Brick, not because of the hotel’s exterior, but the red 10 pound notes – known as ‘bricks’ – that were used by the bookies when settling bets in the public bar.